Provide comfort for the family of Tony Watts with a meaningful gesture of sympathy. Mr. Tony Watts, 61, of Riverdale, passed Friday, March 15th, 2019. Celebration of Life Service will be held Thursday, March 21st, 2019, 11:00 am, at Olivet Baptist Church, 877 GA-314, Fayetteville, Georgia 30214. Public Viewing will be Wednesday, March 20th, 2019, 10:00 am until 7:30 pm, at Herschel Thornton Mortuary, 3346 Martin Luther King Jr. Drive SW, Atlanta, Georgia 30331. To send flowers in memory of Tony Bernard Watts, please visit our Heartfelt Sympathies Store. Brenda Wynn sent flowers to the family of Tony Bernard Watts. My sincere condolences to Mr. Tony Bernard Watts family and friends. May the God of all comfort, comfort you during this most difficult time ( 2 Corinthians 1: 3-4) Please visit jw.org for more comforting scriptures. 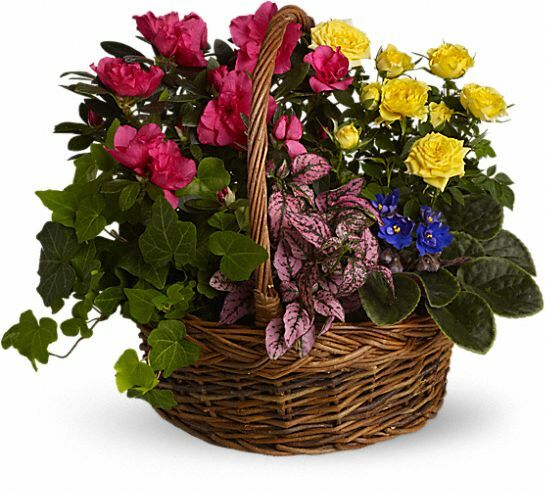 Brenda Wynn purchased the Blooming Garden Basket for the family of Tony Watts.